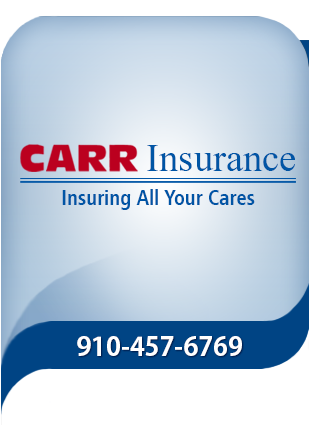 Carr Insurance Agency specializes in Southport NC insurance including homeowners, auto, motorcycle, business, flood, coastal, wind, health & life insurance in Southport, Bald Head Island, St. James Plantation, Oak Island, Boiling Spring Lakes, Bolivia and the surrounding areas in Brunswick County, North Carolina. We know Coastal Insurance, it's complexities, and challenges. We have been locally owned and operated for over 45 years. We are familiar with the complexity of Coastal Insurance because we live, work, and volunteer in Brunswick County. We are located at 115 N Howe Street, Southport, NC, 28461. We can be reached Monday through Friday 8am to 5pm, excluding holidays. IMPORTANT NOTE:This web site provides only a simplified description of coverages and is not a statement of contract.Coverage may not apply in all states. For complete coverages, conditions, limits, and losses not covered, be sure to read the policy, including all endorsements, or prospectus, if applicable. Coverages CAN NOT be bound, amended, or altered by leaving a message on, or relying upon, information in the Website or through E-mail.